Many of my Sifu or coaches have life story that can easily be adapted for a movie or TV script. Several of them the way they carry themselves and the way the treat other people are things that I can emulate besides their martial art skill. Kru Rong (his full name is Dejdamrong Sor Amnuaysirichoke) is such a person. Kru Rong is one of my coaches who is still active competing in the combat sport, the other one is Coach Pakorn who I have covered several times in prior article. 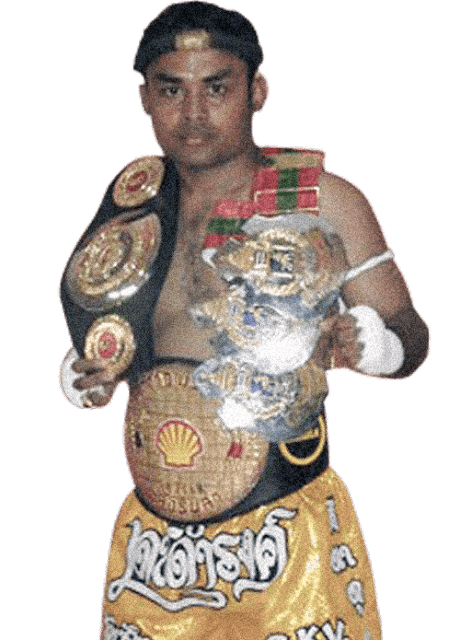 Like many professional Muay Thai fighters in Thailand, Kru Rong started training in Muay Thai and started to fight in his young age of 9 years old to earn money to help his impoverished family. Eventually, Krun Rong won three championship belts. He fought over 350 Muay Thai fights in his illustrious career. 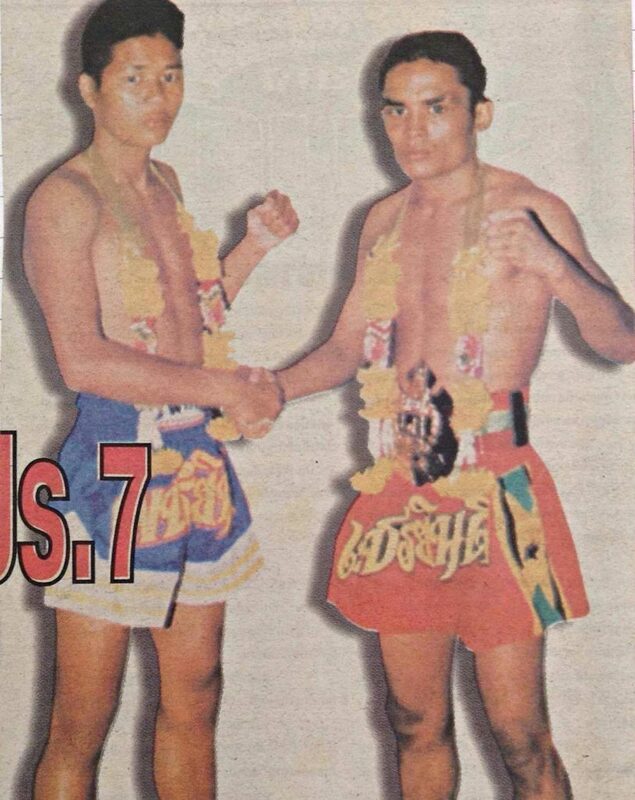 One of his fondest memory is to beat Yodsanklai Fairtex to defend his championship belt successfully. (For those who don’t know. Yodsanklai Fairtex, before his retirement this year, was as famous as Saenchai and Buakaw in the international combat sports circle. Note 1) After Krun Rong joined Evolve MMA, he started to train MMA/BJJ. In 2015, he became the first world Muay Thai champion coming out of Thailand who gained a world MMA championship belt. Unfortunately, he lost his belt last year in Bangkok in ONE Championship. His beloved grandma also passed away on the same day. Without a question that was a very difficult day for Kru Rong. Kru Rong has bounced back this year with 2 consecutive wins both fights ended with KO’s. When I was training at Evolve MMA, I almost got to see Kru Rong everyday. When he saw me, he would always came over to shake hands and chat with me. Even he had a fight coming up within two weeks, he still went out of his way to accommodate my wish to have a private session on MMA with him, so he could share his secrets of becoming a MMA world champion from a Muay Thai world champion. I'm honored he took the time to work with me. I was very grateful for his kindness and generosity of sharing his knowledge to his student. He likes to be involve with charity event. Krun Rong is 39 Old which is considered old in the combat sport. I asked how long does he plan on keep competing in this rigorous sport. He said as long as his body can hold up he plan on fighting as long as possible. No matter will he get his championship belt back or not, to me, Kru Rong is always a champion in many ways. Besides admiring him what he has achieve in the ring and cage, I look up to him for how he conducts himself outside of the competitive arena. The older I get the more that I feel a person’s character is more important than his or her fighting skill or achievements. I learn more than just combat sport from him. I wish him best of luck on his way to re-gain his title belt. However the result turns out, he is always a champion to me in my heart. Note 1: Yodsanklai Fairtex announced his retirement in June this year. Before his announcement, the rumor had it that he was going to have a “Fight of the Century” with Buakaw in 2018. Note 2: Burma’s Lewei also allows head butts, besides punches, kicks, elbow and knee strikes.